Just because you want to nutritional benefits of working with whole wheat flour doesn’t mean that you have to sacrifice the light and fluffy texture that so pleases the palate. There are some fabulous options that you can enjoy with the different types of wheat that are available! 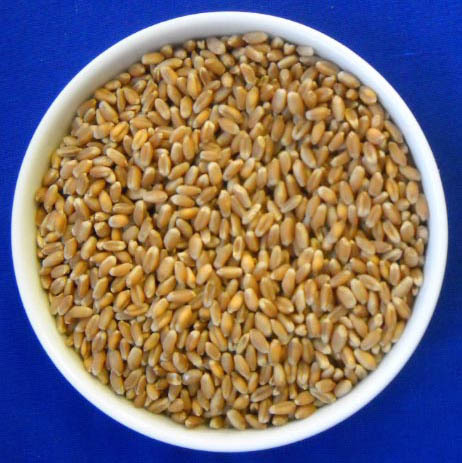 The white and soft wheats have a lighter color, with starchy kernels and a more fluffy texture after grinding; this is the wheat that’s most commonly used for the cakes, pie crusts, biscuits, and pastries. 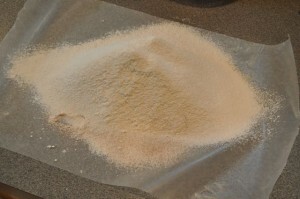 Whereas the Hard and Red types are usually reserved for bread due to it’s higher percentage of gluten—which is also why you don’t need to use wheat gluten when making traditional whole wheat bread, but you DO need it if you’re making bread with older flour or the White and Soft types of wheat. 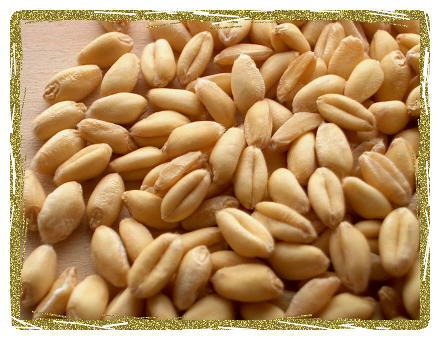 The Soft White Wheat berries will sprout just like any other whole grain or seed and I’ve found that I enjoy a hot breakfast made of a combination of the white and red wheat berries much more than the traditional hearty red berries alone. I don’t know if you’ve run into this before but I’ve had a bit of a challenge getting the youngin’s to enjoy the hearty Hard Red Wheat bread as much as the typical white flour that they’re used to. But when I switch it up to making bread or pancakes from the Soft White Wheat, I have much better success with the picky eaters. I prefer Durum to make my homemade pastas but you can just as easily accomplish a good pasta, spaetzel, or dumplings with the soft white wheat. I also make a yummy whole wheat cracker from the Hard Red Wheat, but I can play around with more subtle tastes such as cheese and garlic and have the tastes more pronounced when I make the crackers with the Soft White Wheat. Of course you’ll still want to stick to the standards of quality when purchasing the Soft White Wheat—Grade A, and make sure you’re getting the most recent year’s harvest. But you won’t have any problem storing it the very same way you store your Hard Red Wheat. And keep in mind that it’s best to keep it in its whole grain form until you’re ready to use it. When you expose the flour to oxygen then it’s naturally occurring Vitamin E oil will be exposed and turn rancid. Also, know that the Soft White Wheat takes on the smell of its packaging (such as the #10 cans), so if you open it up and it smells a bit like the can it’s been stored in, just let it aerate for about 8 hours by spreading it out on a wax paper lined cookie sheet. Once aerates it will be just fine. Hopefully this will help you solve any dilemmas with taste and texture. Now, I’m off to go and try my hand at making some dark rye bread in which I’ll use the soft white wheat I just ground. I’ll let you know how it turns out. Oh, and by the way, even if you’re working exclusively with the Hard Red Wheat, you still don’t need to sacrifice taste and texture. Check out my 100% Whole Wheat Bread Recipe. (The breadsticks are super duper yummy too.) I’ve even had several readers use this recipe to enter their local fair and win the coveted blue ribbon! Enjoy! Copyright Protected 2011, Preparedness Pro and Kellene. All Rights Reserved. No portion of any content on this site may be duplicated, transferred, copied, or published without written permission from the author. However, you are welcome to provide a link to the content on your site or in your written works. In addition to soft white wheat, there is also hard white wheat. It makes great bread. After quite a bit of experimentation and doar stop loaves, I discovered Peter Reinhart's book about making whole grain breads. His method has an extra step - mixing the night before you bake - but it's really worth it. I've been making a couple of loaves every other week for about 6 months to rotate our wheat storage and we've really been enjoying them. Kelleene, thanks for this information. Do you have a source for certified organic grains (25-50lb. 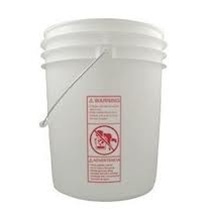 bags,buckets)? I do not wish to ingest any GMO's. Any info you may pass along is so greatly appreciated and needed. Not to throw a monkey wrench into the wheat thing but once I read the book Wheat Belly I have grave doubts about what has been done to wheat in regards to so many of the problems not limited to celiac spru (sorry I am a terrible speller). I have wheat in my storage but both my hubby and I are gluten free and I am trying to figure out how to store what will work for me in the future. I was just discussing soft wheat with my husband this morning! Good to learn more information. Thanks! Do a search on the topic of gluten allergy and you will see the articles in which I've addressed that somewhat. Kellene, I hace been searching for organic SOFT wheat for months now. I can only find organic HARD wheat. Do you know of anyplace I can find the organic SOFT wheat? Thankls, I have learned so much from you and enjoy your Blogs so much. I know you will keep up the good work. There is such a huge demand for soft white from the bakeries, that I believe most farmers won't bother growing it because it's not worth the trouble given the great demand for non-organic white wheat. I did a search gluten allergy and I didn't find any articles on the subject. The search didn't pull up anything at all. Any time you add 1/3 of your flour total as hard red winter wheat and 2/3 of your total flour as hard white winter wheat and I add a little extra gluten. I get a brown loaf that is very light weight. My granddaughters love it, especially when it is hot.